It should come as no surprise that Leap Wireless, the company behind the Cricket Wireless prepaid service, opposes the AT&T/T-Mobile merger. 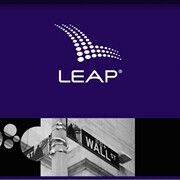 But they made it official today, as Leap's CEO, Doug Hutcheson, shared his concerns with regulators. Hutcheson suggested that the deal "raises problems of spectrum concentration and impaired access to spectrum by competitive carriers; undercuts access to wholesale voice and data roaming services." That argument is one that was echoed by MetroPCS, which concerns the price of purchasing access from the larger carriers. If such a large share of the spectrum/infrastructure is concentrated between AT&T (+T-Mobile) and Verizon, smaller carriers will have even less potential for expansion, or the improvement of their networks. And this isn't the first time this argument has come to light. Smaller carriers have long been concerned about larger carriers' ability to overcharge for the use of their networks. But if the power is concentrated even further, carriers like Leap (Cricket) and MetroPCS might find themselves paying even more. And that could prevent them maintaining competitive pricing.